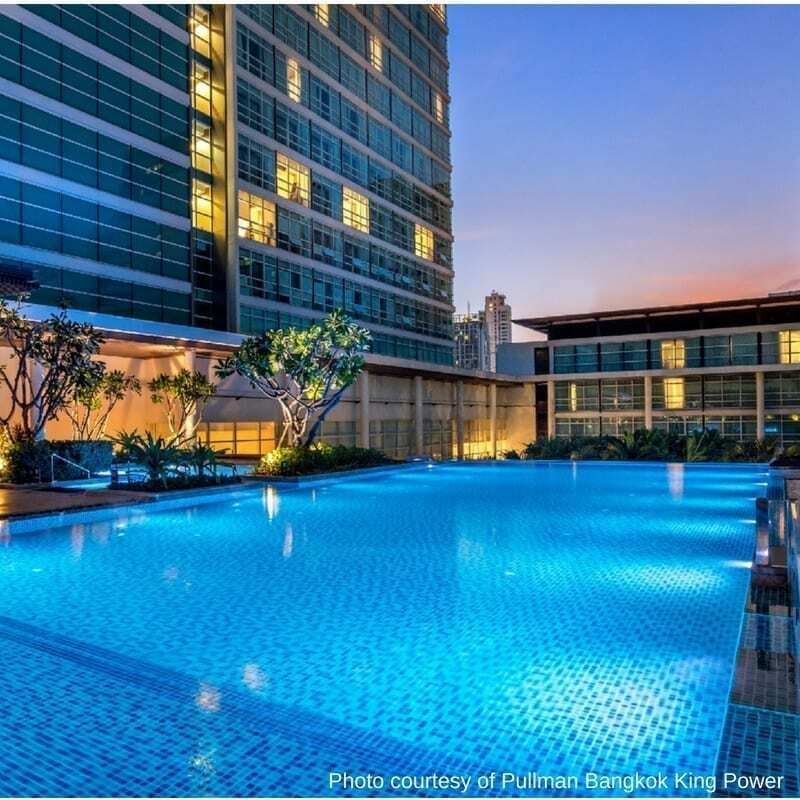 If you are travelling through Bangkok and wondering where to stay, we can recommend the Pullman Bangkok King Power. Our top tip for accommodation in Bangkok is “chose your location well”. The Pullman Bangkok King Power ticked all our boxes for luxury, location, a Spa, gym and swimming pool. 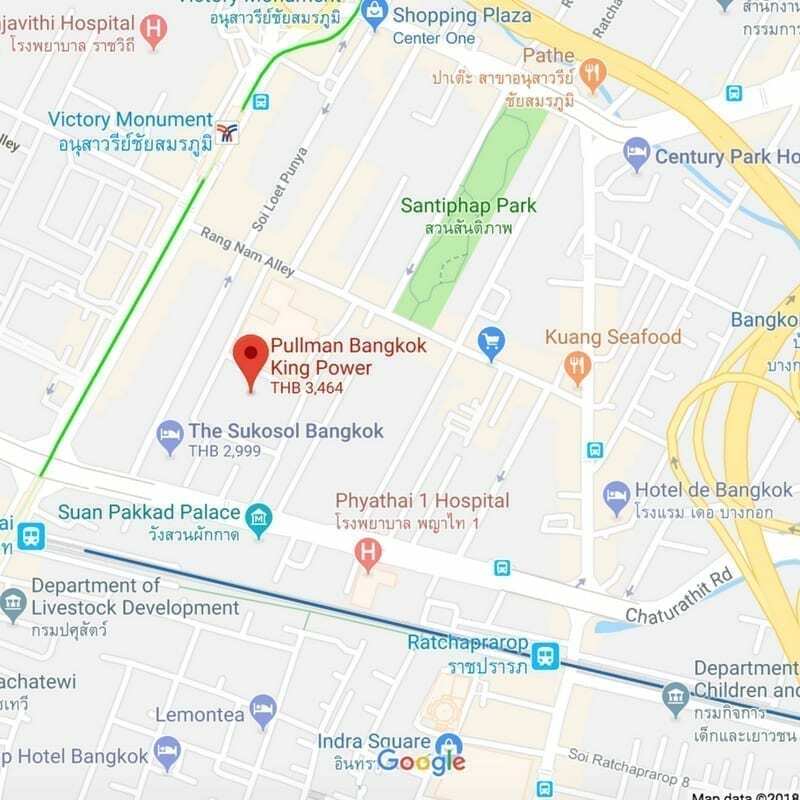 Ideally, located a few minutes walk from the Victory Monument on the BTS Line the Pullman Bangkok King Power offers travellers a luxurious and tranquil stay. 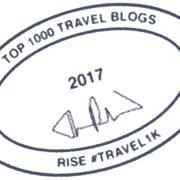 Bangkok is one of our favourite destinations check out our article on our reasons why we love it so much. 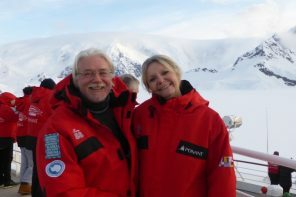 You can tell the vibe of a hotel the minute you arrive and are greeted warmly by the Concierge and the staff at Reception. A welcome ‘shot’ of a very healthy carrot juice cocktail livened us up after a 9-hour flight from Sydney. Our check-in was smooth, efficient and quick. After our very early start for a long day of travel from Australia to Thailand, we were looking forward to a good night’s sleep before we headed out to explore the hotel and the surrounds. Our 32 sqm Deluxe Room had been decorated in an exotic Asian style with rich vibrant colours of reds, gold and brown interior furnishings. Our king size bed “sleep-inducing” with its luxurious linen and comfortable mattress. After a very comfortable night’s sleep, we headed to the Cuisine Unplugged restaurant for breakfast. all ready to start your day out in a healthy wellbeing way. Of course, we wanted the lot! 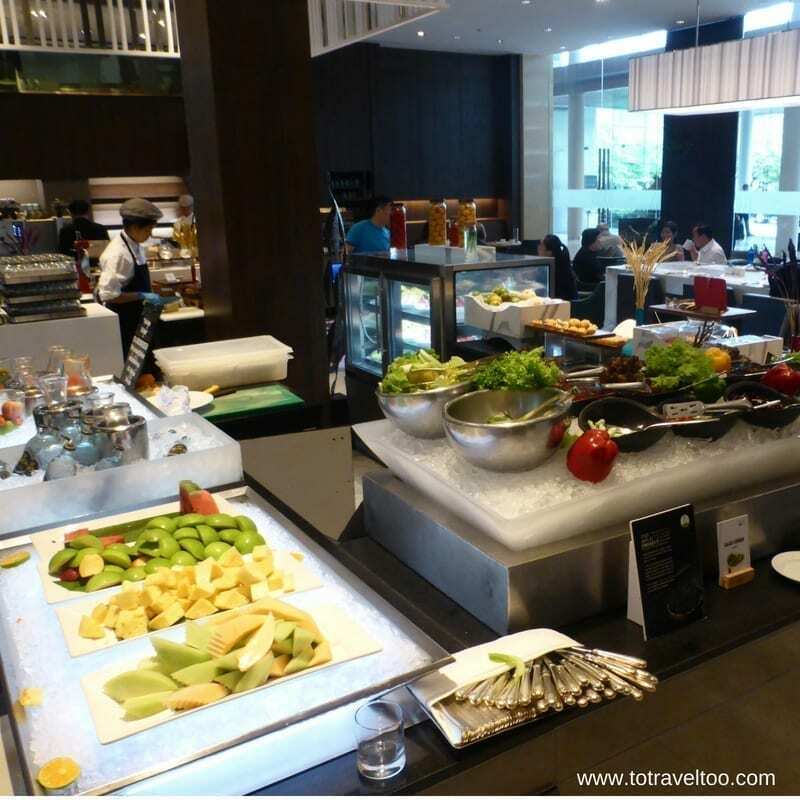 The buffet stations consisted of fresh fruit, juices, pastries, salads, cheeses, Asian and Western dishes. We must mention also the great coffee that is served. A nice personal touch was a staff member offering croissants at the table, we don’t normally experience that in a buffet. At writing the current price for breakfast is THB700 net per adult if it is not included in your room rate. 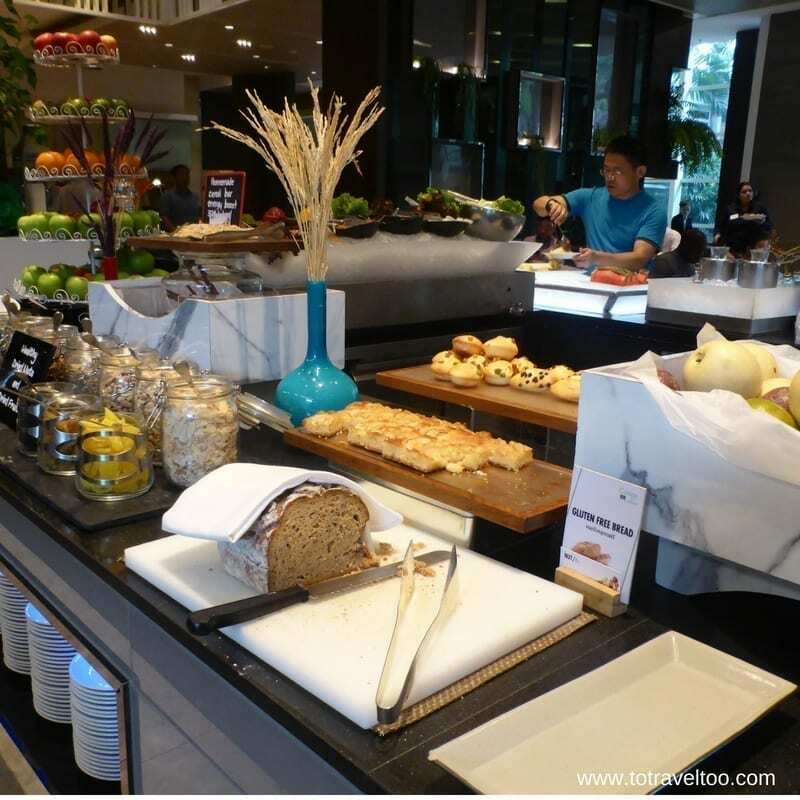 An International Lunch Buffet menu offers the diner dishes created from local organically grown produce. Special Promotion: Get 10% OFF when booking online, King Power member or Accor Plus member. 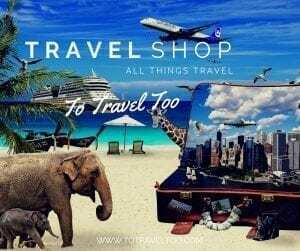 This promotion runs from 02/01/2018 until 30/09/2018. A themed Grand Ocean Seafood and Barbecue Dinner Buffet, as well as a A La Carte Menu, is available. Timings for Dinner: 18.00 to 22.30 hrs. Special Promotion: Get 30% OFF when booking online, King Power member or Accor Plus member. This promotion runs from 01/01/2018 until 30/09/2018. The Pullman Bangkok King Power regularly have promotions on their website for their restaurants, Spa services etc. 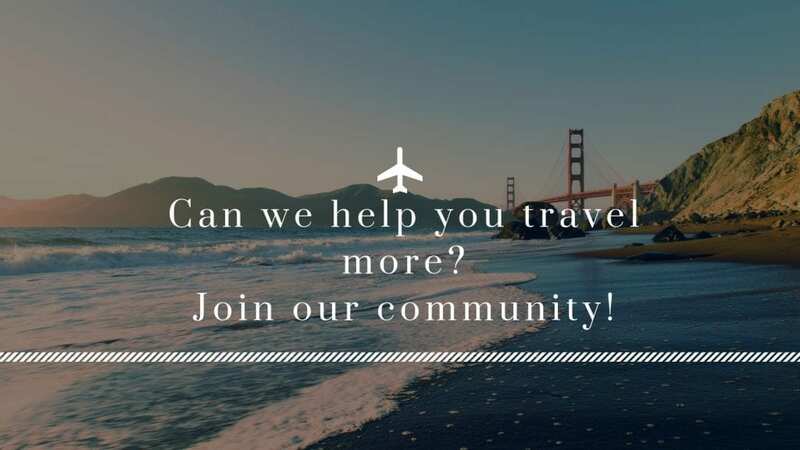 To find out the latest promotions click here. 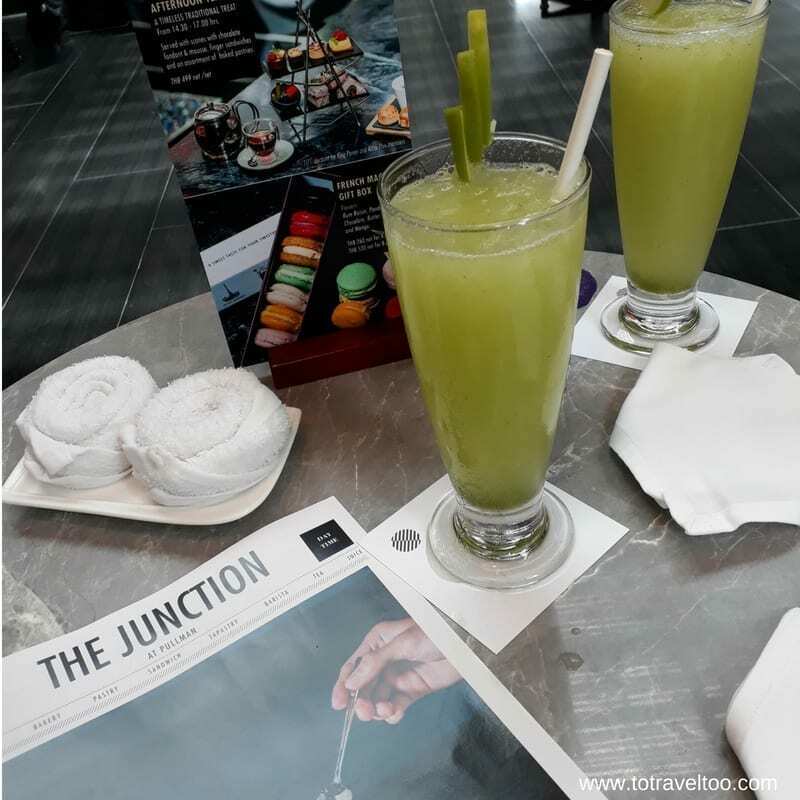 One of our favourite areas in the Pullman Bangkok King Power is The Junction. Located right beside the Reception area, The Junction is a popular area for meetings, coffee, snacks and if you need a co-working space this is perfect with individual areas sectioned off with comfortable lounge chairs and fast Wifi. 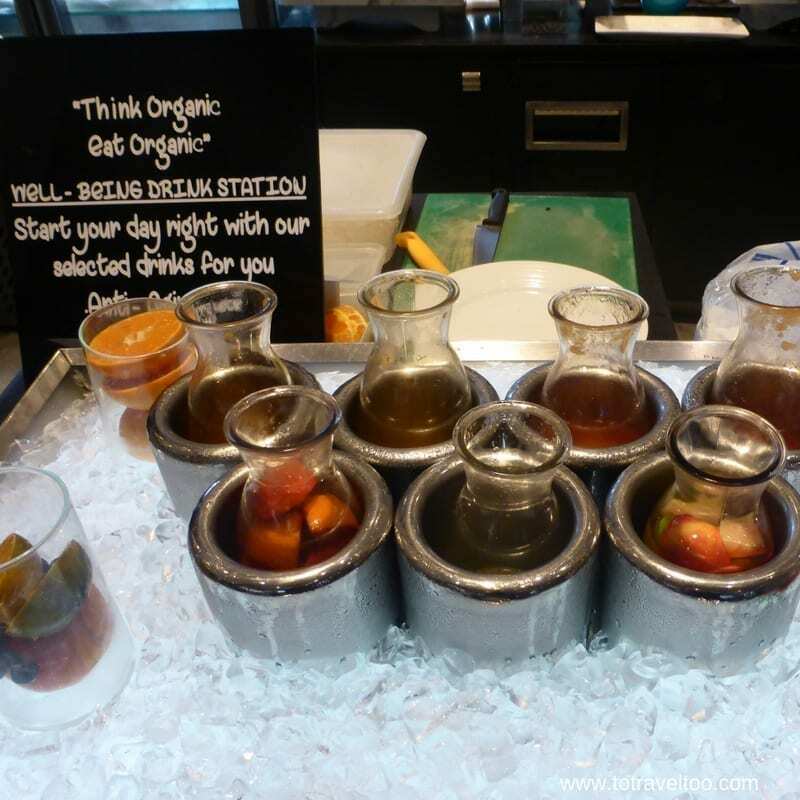 To continue the hotel’s theme of healthy living we suggest you try some of their specialty healthy juices and their healthy wraps available for lunch. 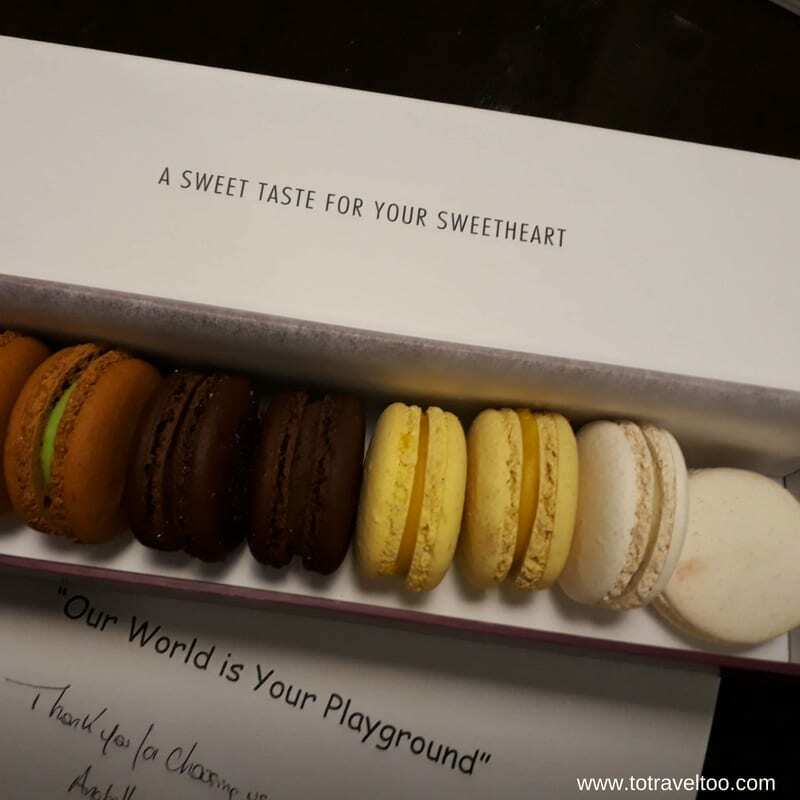 We got the ‘word’ that the best macaroons in Bangkok were to be found at the Pullman Bangkok King Power. Our source had insider knowledge and coming from France could be very biased. As we left the hotel we were gifted a ‘box’ of these very special delights and can report that we were very glad we got the inside ‘nod’. The macaroons are an excellent gift to take back home (that is if they last that long). 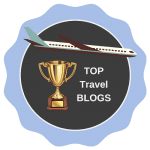 The hotel has created a zen-like atmosphere with very high ceilings, large windows that overlook their new to be opened Signature Restaurant (more about this later) and exotic interior decor. The Glen Bar is open from 18.00 – 01.00 hours daily and is rated one of the best bars in Bangkok. Creative lighting and design gives a very hip vibe and coupled with the latest innovative cocktail and Thai cuisine to enjoy whilst listening to live music it is a perfect night out in Bangkok. Just head to the 2nd floor for this experience. The Pool Bar is perfect for that relaxing drink or two after a day of sightseeing or business meetings. We loved the intoxicating aromas of the frangipani trees around the bar whilst enjoying a cocktail or two. 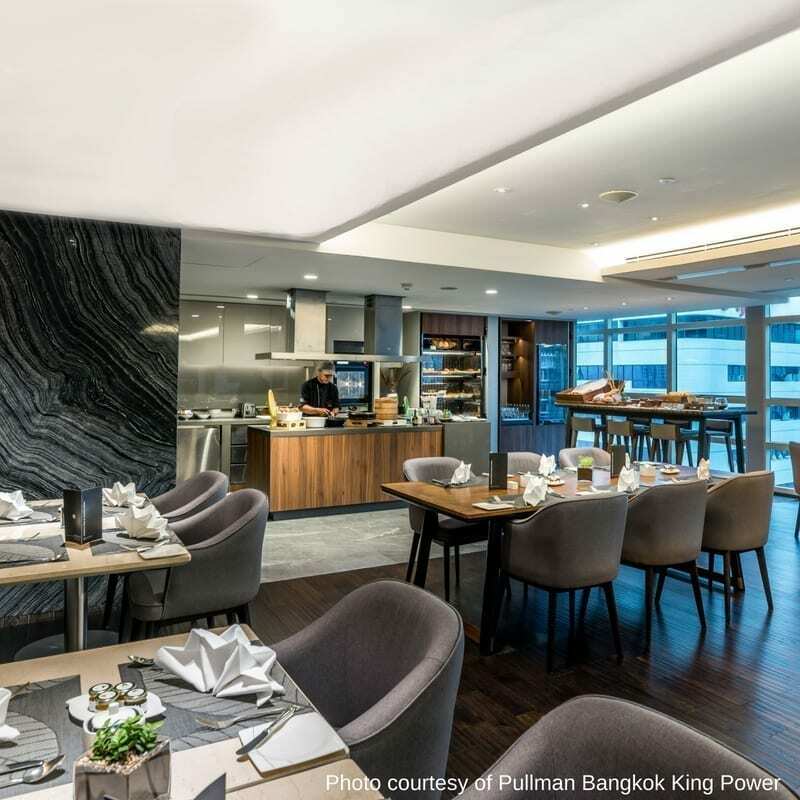 For those of you who enjoy the services of the Executive Lounge, you will not be disappointed at the Pullman Bangkok King Power. A great view whilst enjoying complimentary breakfast and the evening cocktail hour. We were intrigued by the open space beyond The Junction in the courtyard of the hotel. We found out that ‘the yet to be named’ restaurant will be one of its kind in Bangkok. Opening from 1800 to 2200 nightly the private 10 seat restaurant will be serving the latest innovative Japanese cuisine according to what is available at the market and that means to the diner a new menu every day. 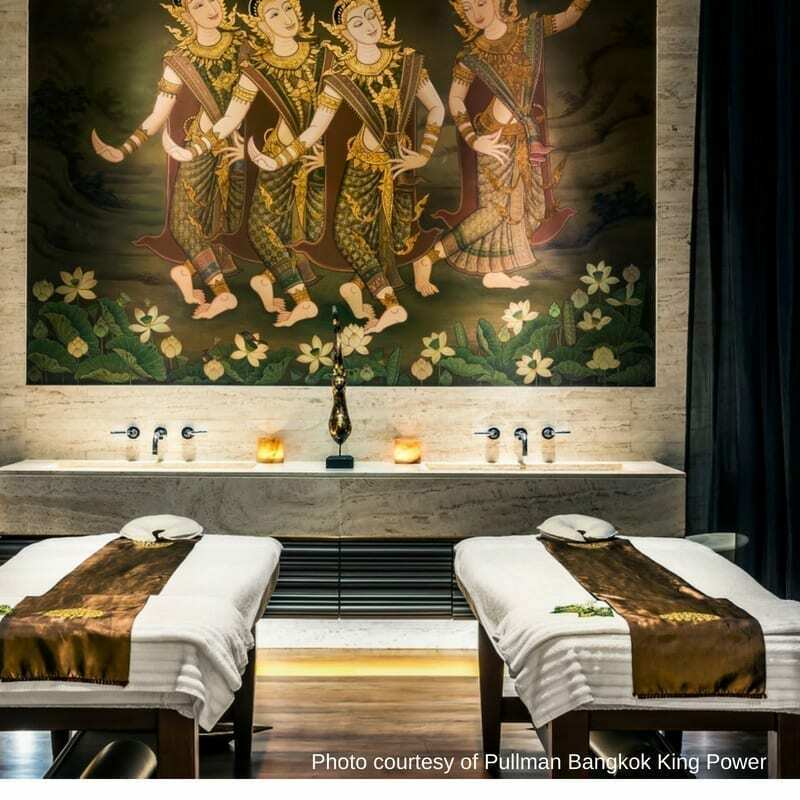 With so many options for a unique spa experience at the Pullman Bangkok King Power, it was hard to make a choice on what massage to enjoy. Duncan chose the Tonic Aroma Massage where you have a choice of essential oils. This massage is perfect for pain relief. Jane chose the Age Defense – Coconut Body Exfoliation – moisturizes and refreshes with the use of exfoliating coconut husks and ground coconut shells. The largest Duty-Free Mall is located just minutes away from Reception. It is your one-stop duty-free shopping experience in Bangkok. 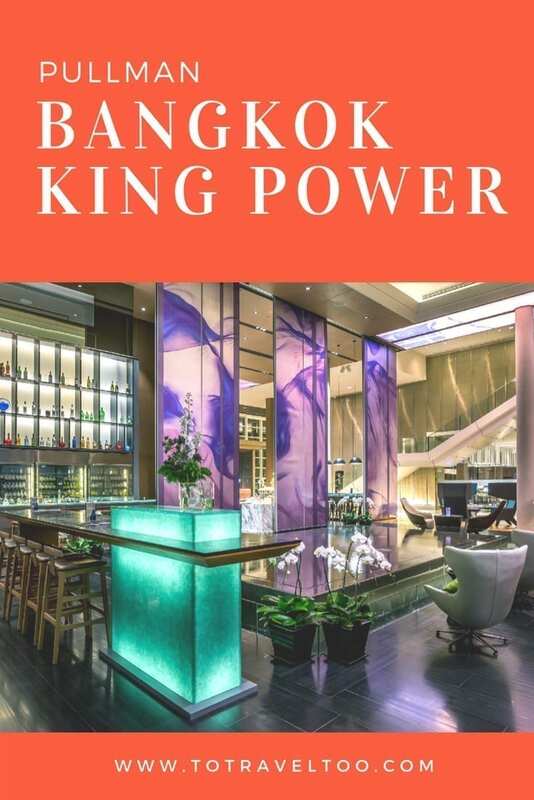 There are special discounts available for guests of the Bangkok Pullman King Power and it is worth checking out their website for the latest deals. One of the biggest markets in Asia – Chatuchak is located near the Bangkok Pullman King Power. 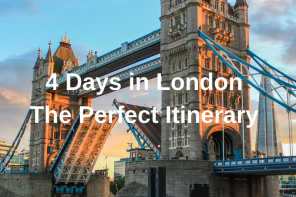 Just five stops away on the BTS the weekend market is a must. It can take a day to wander through the many stalls. The shopping areas of Nana and Asoke are in the opposite direction in the BTS just 5 and 6 stops away from the National Monument BTS. We were delighted with the attention to detail of the staff in all food and beverage areas, housekeeping and at the Reception. The 11-year-old hotel was renovated 2 years ago and has in total 21 suites, 354 bedrooms and 20 meeting rooms. The newly constructed Eternity Daylight Ballroom is unique in design with an interior open kitchen and vehicle access, perfect for the launch of new products. 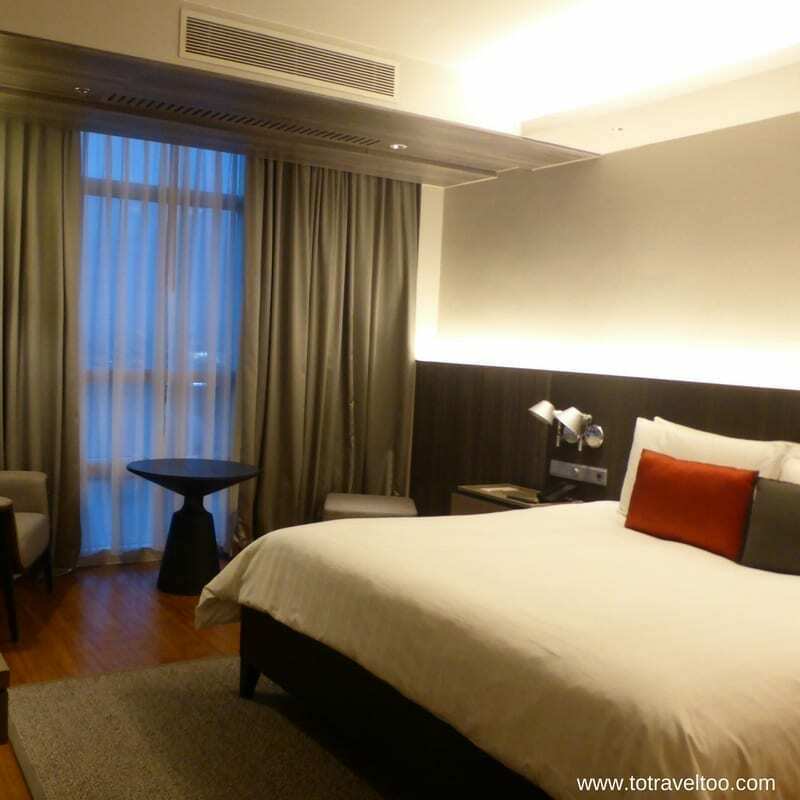 We would definitely return to the Pullman Bangkok King Power on our next visits to Bangkok. 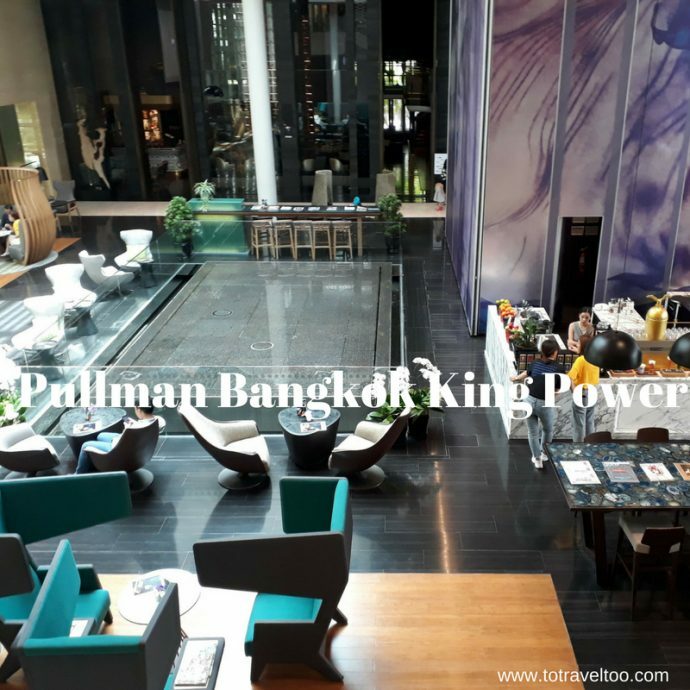 We thank the Pullman Bangkok King Power for our stay in Bangkok. 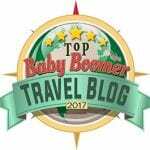 Our 3 night stay was part complimentary and part media rate. As always our opinions are our own. 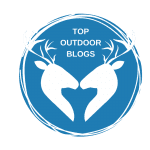 If you enjoyed our article why not PIN it for later. Thank you for your comments. 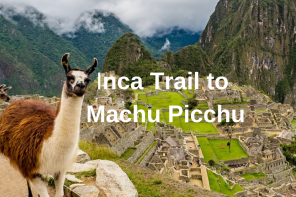 We hope that you can visit one day. 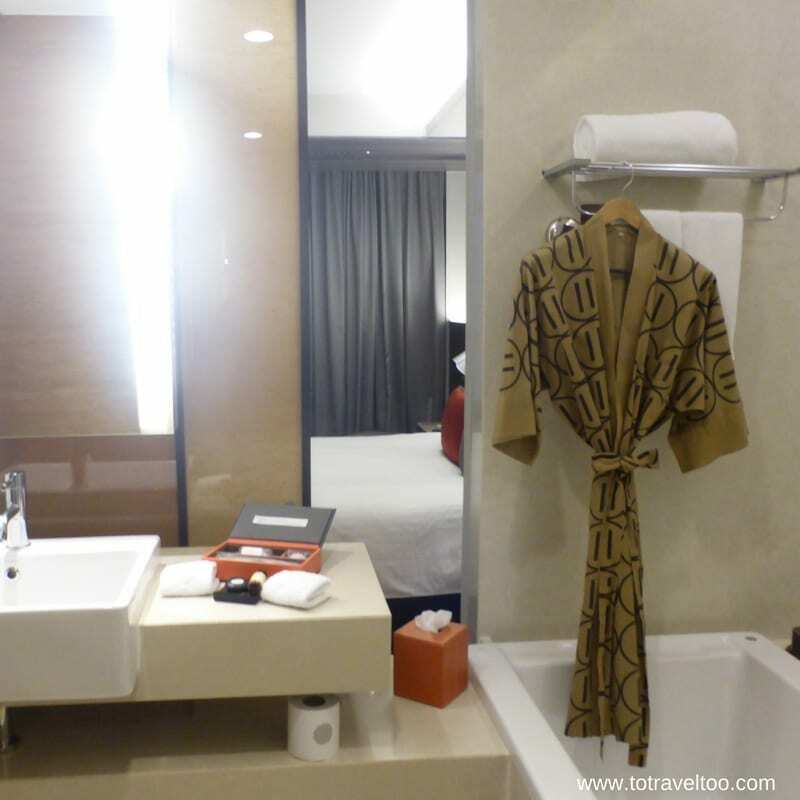 Nice to know that you liked your stay in the Pullman Bangkok. It is actually a very old hotel indeed. Great that they have renovated. I like location of the hotel, very central. Also the food they have to offer is decent. Overall, even I would prefer staying in the Pullman. Thank you for your comments. Pullman Bangkok is definitely a favourite of ours. The Spa is a must if you visit. Looks like a great place to stay! That breakfast looks so inviting. To me, what makes my vacation over the top is a great breakfast. I would love this one for sure with juices and croissants. Also the pool looks lovely. Bangkok is definitely in my travel list for next couple of years, so I will have to remember this hotel. Thank you for your comments. The pool was definitely a highlight especially after a day of sightseeing. Pullman Bangkok King Power looks like a very comfortable hotel. I love it that it has a spa and also give you a bathrobe. I bet their specialty healthy juices taste delicious. I hope we’ll make it to Thailand someday, but for now there are no plans in sight. Thank you for your comments. The juices are very healthy and tasty. Hope you can visit Thailand one day. Thank you for your comments. The Pullman Bangkok is delightful and we hope you can stay there on your next visit. Oh my, you had me at the Pullman Spa! It’s been too long since I’ve been to Bangkok but if I do return in the future, I’m definitely considering this hotel. Those juices look so healthy and delicious too. Plus, the pool bar looks somewhere I’d spend a lot of time too. Thanks for your comments. Looks like it is time to spoil yourself in a Spa. The Pullman Bangkok King Power hotel looks impressive. I especially like the looks of their breakfast. Nothing compares to freshly squeezed juices in the morning! 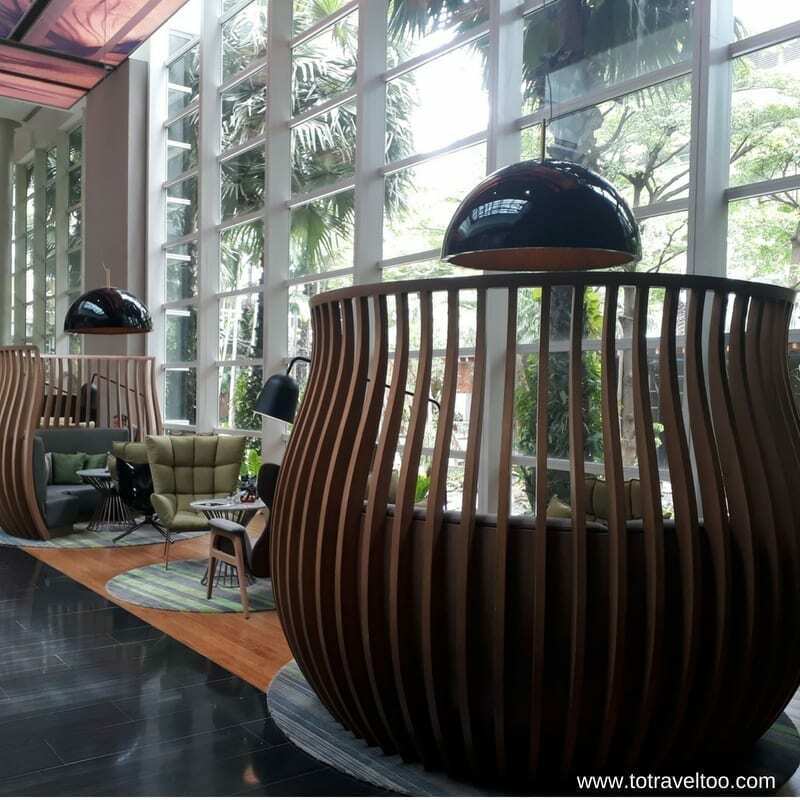 We will have to add this hotel to our list when we visit Bangkok. Thanks for your comments. I long for their healthy breakfasts again. 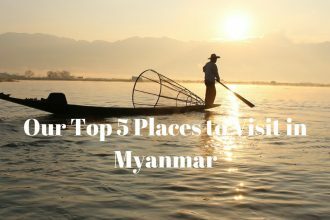 Hope you can visit one day. Wow this hotel is stunning! We are moving to Bangkok in August and I will definitely be treating myself to a few nice stays in the luxury hotels in the city! Love your pics too! Thanks for your comments. How exciting moving to Bangkok. We will be in Thailand this year for a few months. Hope you get to treat yourself.